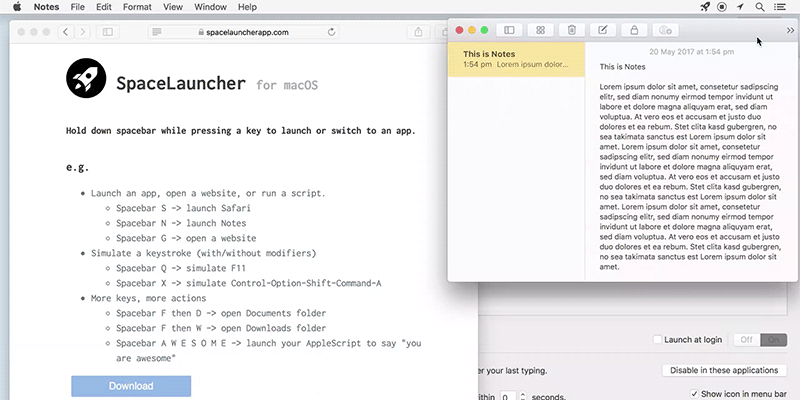 SpaceLauncher makes it easier for you to launch and switch apps on your Mac as all you have to do is hold down Spacebar while pressing a key to launch or switch to an app. Launch an app with a keystroke. Open a website with a keystroke. Run a script with a keystroke.